Another day, another visual novel port. 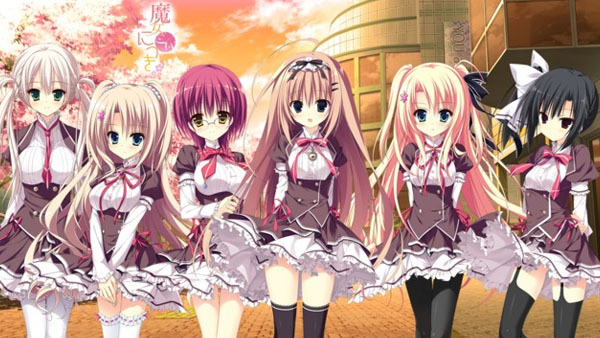 Qoobrand visual novel Majo Koi Nikki, or With Love Diary, is coming to PS Vita in Japan via publisher Kaga Create. The game first launched for PC in 2014. Alice lives alone in an old barber shop in the shopping district of the rose-coloured town. It was the second spring at her school and nothing special happened. That was until one day when she was exploring a clock tower in a forest a ways from the school with a friend and found a strange diary which had been dropped. She took it home with her and when she opened it, the days of a young boy were spelled out there. It was the story of first love and a broken heart. Visit Kaga Create’s teaser website here.